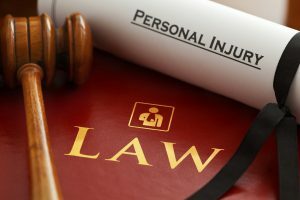 In order to become a fully licensed personal injury lawyer, you ought to satisfy some requirements in as far as education and certification is concerned. You should be a Law degree holder and have passed your bar exams before you can start on this lucrative career. It is also important to ensure that you have some strong analytical, speaking and organizational skills. There are various important steps that you have to fulfill before you start practicing as a personal injury lawyer. It is a requirement that in order to join the Law school, you should have a bachelor’s degree. There are some schools that accept some undergraduate studies from other areas like social science, political science, English and history. Towards the end of the bachelor’s program, you must sit for the Law School Admission Test (LSAT). This is a multiple-choice kind of examination that seeks to measure the aptitude a student has in the skills that are necessary for lawyers like research, critical reading, logic and task management. Admission to the law school is an exercise that is very competitive. The student’s grade on average and their score in LSAT plays a significant role in the determination of the admission. After being admitted in the law school, you will be required to study for a further three years beyond the bachelor’s degree. The first year of study will involve the coverage of the general legal subjects like torts, contracts, legal writing, criminal law, constitutional law and property law. The remaining two years are usually dedicated to the elective courses that can be related to advanced tort law, personal injury, civil litigation and medical malpractice law. It is important to ensure that as you research on how to become a personal injury lawyer, you check if the law institution you attended is approved. The approval mandate is held by the American Bar Association (ABA). Most states require aspiring advocates to pass their bar exam as it constitutes licensure and being admitted to the bar. You will not have to sit for a special exam for personal injury lawyers as the exam is usually the same but it may vary in content and format from one state to the other. You should take the bar exam in the state that you intend to practice. After passing the bar exam offered in the state that you intend to practice, you will find that most states will require the Multistate Essay Examination (MEE), Multistate Bar Examination (MBE) and Multistate Professional Responsibility Examination (MPRE). There are some states that further require the Multistate performance Test (MPT). In order to become a certified specialist in the practice of personal injury, it is imperative to enroll for the specialty certification program that is also accredited by the ABA. You should also continue with legal education continuous learning to remain up-to-date with the field. All the above are the important points on how to become a personal injury lawyer.